Join the thousands of Veterans who serve other Veterans in various volunteer programs. 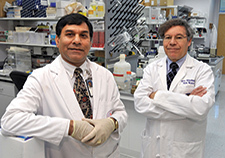 Also find out how you can help with VA medical research and development by participating in clinical trials, as well as the Million Veterans Program. 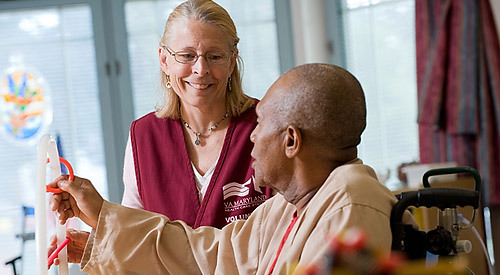 VA Voluntary Service - The Voluntary Service (VAVS) was founded in 1946 to "serve those who served" while they are cared for by VA health care facilities. Volunteers have given more than 11 million hours in service to America's Veterans. It is impossible to calculate the amount of caring and sharing that these VAVS volunteers provide to Veteran patients. VAVS volunteers are a priceless asset to the Nation's Veterans and to the Department of Veterans Affairs. Learn how you can volunteer. Million Veterans Program - MVP has established one of the world's largest research resources with genetic, military, lifestyle, and health information. Researchers are getting closer to answering important questions about how illnesses and injuries vary among Veterans. These answers could lead to improved health care. Consider joining the more than 500,000 Veterans who have already volunteered.